What a great finale to the long and winding Kentucky Derby prep trail! Classic Empire started the season as the Kentucky Derby favorite, and he will now return to that status, quelling any fears that his minor injuries and “refusal to work” antics would get in the way. He was vulnerable coming into this race but exits as a top 3 Kentucky Derby contender. Conquest Mo Money ran a really good race here doing all the work up front and being that lone front runner that stayed in play and nearly hung on to win this outright. #11 Conquest Mo Money gets pace relief after really laying it all out there early in his previous two starts. Has the added advantage of a race at this distance. G2 Sunland Derby BRIS Speed Rating is about 8 points overstated but even at that level, he competes here as he carries his speed further in the G1 Arkansas Derby. Keep this in mind…Irap came out of the Sunland Derby to win the G2 Blue Grass Stakes, defeating McCraken and Practical Joke. Now Conquest Mo Money finishes a game second just a half length behind Derby favorite, Classic Empire in one of the top Derby preps of the year. Through the transitive property, the Sunland Derby is coming up as a top three Derby prep this year. You won’t find that prep on anyone else’s top three list. 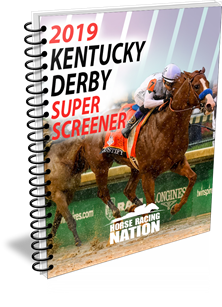 More on the implications of that race in our annual Kentucky Derby Super Screener! Lookin at Lee and Sonneteer ran good races as expected taking advantage of the par but pressured pace,and that kicked off the nearly $400 Trifecta pay off on a suggested Trifecta wager. Just how much extra ground did Sonneteer cover in this race? Super Screener is sure hoping there are enough defections for this maiden to make the Kentucky Derby field. 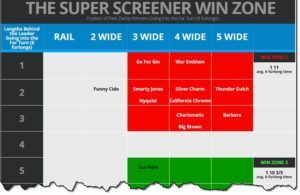 Without question, however, Super Screener top win pick, No Dozing, ran the best race and was the clear winner. 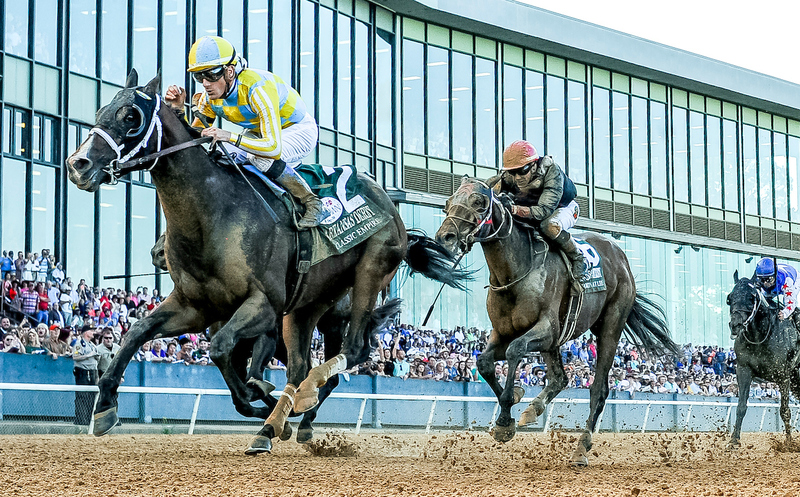 This isn’t a shoulda, coulda, woulda excuse…watch the replay of the Lexington Stakes. No Dozing got side swiped by Souper Tapit, who collided with the rail, forcing his rival to take up and lose 3 lengths. Then, as they are heading into the far turn, a badly tiring Resiliency forced No Dozing to take up again, getting shuffled back by another three lengths…but No Dozing wasn’t finished…he rallied boldly again in late stretch and actually passed West Coast just two jumps past the wire. A real gutsy performance and one for the trip notes book. The Super Screener correctly anticipated that Whitmore would win as one of the most reliable win picks over the last several months. Just left no doubt as to what the outcome would be here and he got the perfect pace set up to boot. He is now 6 for 6 sprinting. Easily the top dirt sprinter in the world right now. Apprehender finished 2nd again to Whitmore, but the Super Screener liked top long shot bomber picks, Chief of Staff and Sharp Art better. Neither of those rivals ran a lick. Best laid plans…well, Wesley Ward’s pair both finished in the money, but the Super Screener was projecting the reverse in terms of finish. The European 2 year-old filly champion and Group 1 winner, Lady Aurelia, proved sharp even off the super long layoff and, as it turns out, stablemate Ruby Notion reversed roles and served as the pace setter which did not help her chances on the closer-favoring turf course. She ran a big one regardless, narrowly missing a 2nd place finish by a short neck. Kicking ourselves on not projecting a more advanced form cycle progression for the 2nd place finisher, Nobody’s Fault, who exploded the board at 51-1. She had all the right criteria in her favor and she did improve by 5 lengths to get the job done. “(Nobody’s Fault” Is rounding into form and will move forward again today and last work only confirms the forward progression. Would have to jump up 5 or more lengths, however, to compete with the likes of these. Certainly better than 30-1. Super Screener top long shot picks, Lajatico and Bibby uncharacteristically finished last and second to last at 22-1 and 67-1, respectively. I know we can’t hit them all but that outcome was a huge disappointment. Charles Town gets a little love next weekend as we cover the $1.25 million G2 Charles Town Classic. 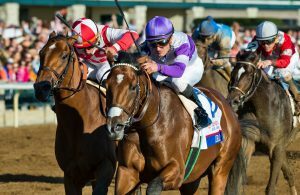 The G3 Illinois Derby is on tap and there is plenty of stakes action on closing weekend at Keeneland. Oh yeah, and the Kentucky Derby is less than 20 days away – pre-order info for the Kentucky Derby is coming soon! Next Story → Kentucky Derby 2017 – Who Will Hit The WIN ZONE?